Traditionally, the parents send their children to tutors to aid the learning process. Even after intense sessions, the child still may not comprehend that tough concept. But, there is another way to help the child. You (the parents) had this tool at your finger-tip but never realized it. But, do you also provide training on how to use it? Texas Instrument has a full line-up of graphing calculators and is willing to show you how to get the most out of them. The calculator, if used properly, can help your child grasp difficult mathematical formulas and theories. This guide will explore the top five graphing calculators from Texas Instruments. Then, it will compare these tools against each other and provide you with information on which tool best fits your child’s needs. 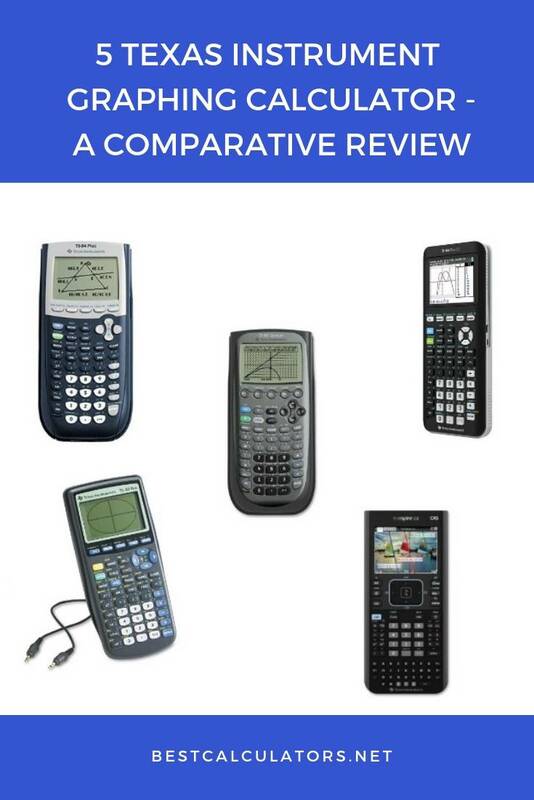 This comparison will examine these five (5) graphing calculators from Texas Instrument (TI): TI-83 Plus, TI-84 Plus, TI-84 Plus CE, TI-89 Titanium and TI-Nspire CX CAS. The criteria used in this examination are memory available for use by product operator, design, functionality, pre-installed applications and if device can be used on standardized test. At the end of each criterion, I will select a winner. This evaluation is based purely on what each device has to offer. When selecting a calculator for yourself or your child, you must consider where you and they are at in the learning process. Physically, the TI-83 Plus and the TI-84 Plus are similar. In fact, the only difference is that the TI-84 has a mini-USB port while the TI-83 does not. Both calculators use the same type of central processing unit (CPU) (Zilog Z80), and the displays are the same (96 x 64 pixels). The processor on the TI-84 has a faster clock (operates at 15 MHz instead of 6 MHz (TI-83 Plus)), therefore it should process requests a little faster. The devices also are powered by four (4) AAA batteries. Both calculators have an I/O port but the TI-84 Plus also includes a mini-USB port. The TI-84 Plus CE has slimmer body than the TI-83 Plus. The TI-84 uses a rechargeable battery (designed to last around two weeks on single charge) instead of AAA batteries. Its CPU is three times faster than the TI-83 Plus CPU. The color display on this TI-84 is much bigger (320 x 240 pixels). This feature allows the user to see a graphing request in better detail. The TI-84 Plus CE only has a mini-USB port (in contrast, the TI-83 only has an I/O port). The TI-89 is major upgrade over the TI-83 Plus. Its CPU processes much more data at a faster speed. The display (160 x 100 pixels) is bigger and allows the user to see the plots much better. Both calculators need four (4) AAA batteries for power. The TI-89 has two to access it: (1) I/O port and (2) mini-USB port. 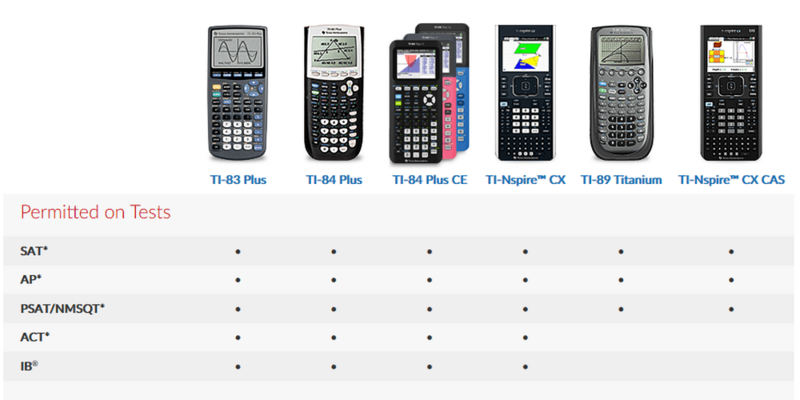 The TI-Nspire CX CAS is the luxury item in the Texas Instrument graphing calculator line-up. It has a high-powered CPU for crunching the most complex task. Its display (320 x 240 pixels) gives the user the visual quality of 1st generation smartphones. The calculator is powered by a rechargeable Lithium-ion battery that should last two weeks on a single charge. The TI-Nspire CX CAS only has a mini-USB port that allows the user to interface with a computer. The TI-84 Plus CE uses a rechargeable battery (designed to last around two weeks on single charge) instead of AAA batteries (as used by the TI-84 Plus). Its CPU is three times faster, thus a quicker processing time. The color display on this TI-84 Plus CE is much bigger (320 x 240 pixels). The TI-84 Plus CE only has a mini-USB port (in contrast, the TI-84 Plus also has an I/O port). Oddly, the TI-84 Plus (released in 2004) is not the predecessor of the TI-84 Plus CE (2015). The non-color version of the TI-Nspire holds that distinction. The TI-89 is major upgrade over the TI-84 Plus. Its CPU processes much more data at a faster speed. The display (160 x 100 pixels) is bigger and allows the user to see the plots much better. Both calculators need four (4) AAA batteries for power, and both devices can be accessed via an I/O port and a mini-USB port. The TI-Nspire CX CAS has the same advantages over the TI-84 Plus as it had over the TI-83 Plus. Its CPU is much faster and processes data quicker. The Nspire’s display is also superior to that of the TI-84 Plus. The TI-Nsprie only has one access port on it (a mini-USB port). Both devices use the TI. The TI-89 Titanium has a faster CPU and provides more access to it (I/O and mini-USB ports) than the TI-84 Plus CE. This allows the user to process mathematical problems efficiently. The TI-89 screen (160 x 100 pixels) is smaller and black/white. 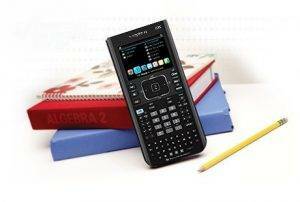 The TI-Nspire has the same advantages over the TI-84 Plus CE as those versus the TI-84 Plus. The Nspire brings the user’s experience into the 21st Century. The TI-Nspire CX CAS supercharges the TI-89 Titanium and brings the user into the age of the smartphone. It reduces the user learning time of how to implement the device effectively. Conclusion: The TI-Nspire CX CAS is the clear cut winner for this criteria. The calculator gives the user the feel of a 1st generation smartphone. Since most students are familiar with how a smartphone and computer work, they reduce the learning curve of deploying this device. The TI-83 Plus is designed to meet the needs of students in middle school through high school. It offers excellent support for all math courses ranging from Pre-Algebra through Calculus and Statistics (also the advance placement (AP) courses). The calculator is a stalwart when crunching numbers, collecting data and verifying experiments in chemistry and/or biology. You can attached Texas Instruments’ CBL2 system to it and setup your private data collection station. The TI-84 Plus was designed to replace the TI-83. It offers the same features with the ability to perform well in college math (also handles Linear Algebra problems). The TI-84 Plus CE has the same functionality of the TI-84 Plus, but it comes in a sleeker package and introduces a color display. The model has more memory (150 KB of RAM instead of 24 KB). This feature allows you to download applications to make your work easier. The TI-89 Titanium is designed for math courses ranging from high school through college. It makes problem solving much easier for advance mathematics and engineering courses. The TI-89 supports 3D graphing and includes sixteen (16) pre-loaded software applications including EE*Pro, CellSheet, and NoteFolio. The calculator has 188 KB of RAM and offers the CAS for manipulation of algebraic expressions. The TI-Nspire CX CAS is the “Rolls-Royce” of the Texas Instruments graphing calculator line-up for a reason. It works well for all high school mathematics and science courses except Pre-Algebra and Algebra 1 & 2. With about 100 MB of storage available, the TI-Nspire is mini-computer in your hand. You can download applications to improve your understanding of the subject matter and to learn how to use the TI-Nspire more efficiently. The TI-Nspire performs as a calculator, graphs functions and equations in 3-D quality, handles lists and spreadsheets, allows notes to be taken and summarizes data using various mathematical means. The TI-Nspire CX CAS is the next step in evolution for the TI-89 Titanium. It takes features the Titanium does well and enhances them. Conclusion: The TI-Nspire CX CAS is the preferred choice for any student serious about pursuing a STEM curriculum. It provides all the tools needed to help you grasp mathematical concepts. If STEM is not a career path and you just want to do well in math, the TI-89 Titanium is an acceptable option. Both calculators are allow for the following standardized tests: SAT, ACT, PSAT/NMSQT, AP, Praxis and the International Baccalaureate. Both calculators are allow for the following standardized tests: SAT, PSAT/NMSQT, AP, Praxis and the International Baccalaureate. The TI-89 Titanium is not allowed on the ACT because of its Computer Algebraic System (CAS) feature. The feature allows the user to manipulate algebraic and trigonometric functions. The TI-Nspire CX CAS is not allowed on the ACT because of its Computer Algebraic System (CAS) feature. Conclusion: The TI-83 Plus, TI-84 Plus and the TI-84 Plus CE are calculators of choice for taking standardized tests. These devices are accepted by all the test, and you should not have issues with them. The Computer Algebra System (CAS) is the reason the ACT will not allow the TI-89 Titanium and TI-Nsprire CX CAS into their testing facility. Can the operating systems on the evaluated calculators be updated? Answer: Not all of the evaluated calculators can be updated. The TI-83 Plus’s operating system cannot be updated. You can update the other four devices by downloading the necessary software from the TI website via computer and transferring the software to the calculator. Answer: The TI-Nspire and the TI-89 are not allowed on the ACT because they have a computer algebraic system. Texas Instruments makes a TI-Nspire without the CAS functionality that is allowed on the test. Before selecting a TI graphing calculator, you need to determine which math and/or science courses you plan to take. For middle school through most of high school applications, the TI-84 Plus family (includes the TI-83 Plus, the TI-84 Plus and the TI-84 Plus CE) should provide everything you need. For college, you should go with either the TI-89 Titanium or the TI-Nspire CX CAS.